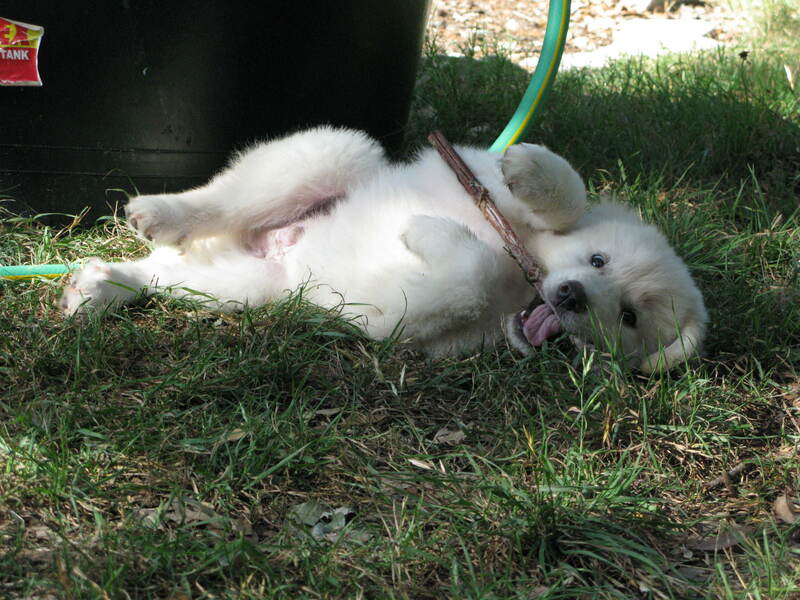 He is our new Great Pyrenees puppy. I have been strongly against getting a new puppy, even though the family has been begging for the last few months. This breed finally made me give in. He is practical and adorable, how can I resist. 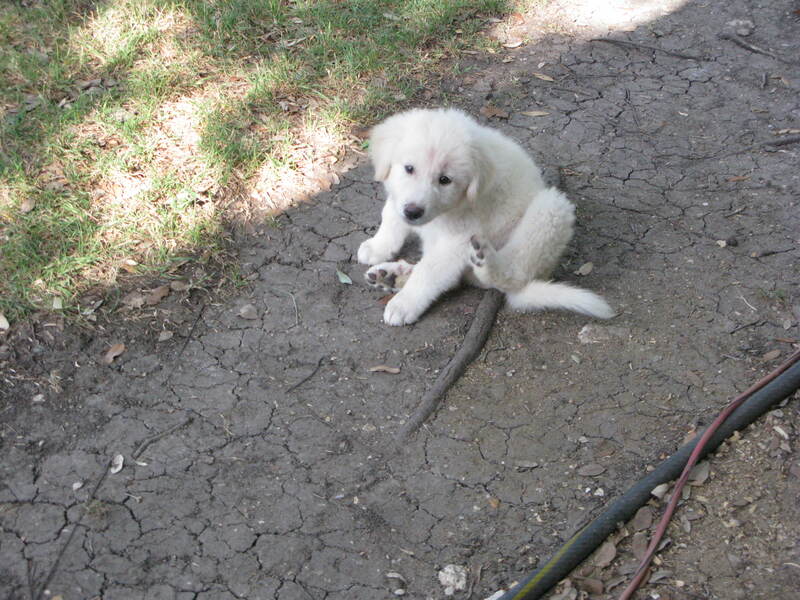 Great Pyrenees are protectors, and this little guy (who will get MUCH bigger) will eventually guard our entire flock, whatever that may be, chickens, ducks, turkeys, rabbits, lamb — you get the idea. Adorable! I just want to rub that belly! I know. He is so cute!! What a little ball of fluff. Nothing like having a working dog. Adorable! How big will he get?